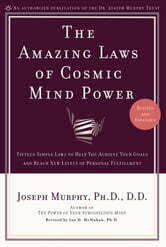 by Joseph Murphy, Ian McMahan, Ph.D.
Dr. Joseph Murphy, one of the world’s best-known authorities on the power of the subconscious mind, shows readers not only how to unleash this power, but how to harness it and effectively use it to change their lives. 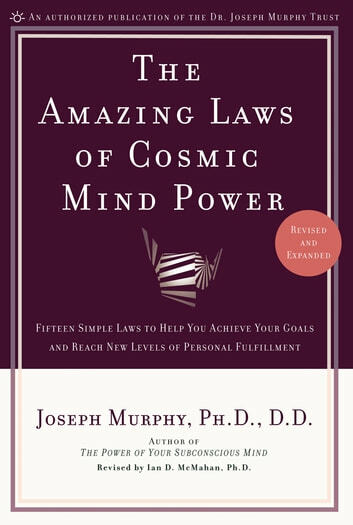 Murphy provides revolutionary mind-focusing techniques that have helped countless thousands discover the laws of cosmic mind power and apply them to their daily lives. Combining the insights of world religion with the discoveries of modern psychology, readers will reach new levels of spiritual understanding that will allow them to bring forth new health, new happiness, new prosperity, and a wonderful new life of inner fulfillment. Packed with examples of actual success stories, readers learn how they can change themselves from within to overcome illness, find love, increase their business by 300%, and advance to executive career positions. Fully updated to reflect the sensibilities of the 21st century, this revised edition of a self-help classic is the key to overcoming the psychological barriers that stand in the way of greater material, spiritual, and emotional wealth. by Joseph Murphy,Ian McMahan, Ph.D.